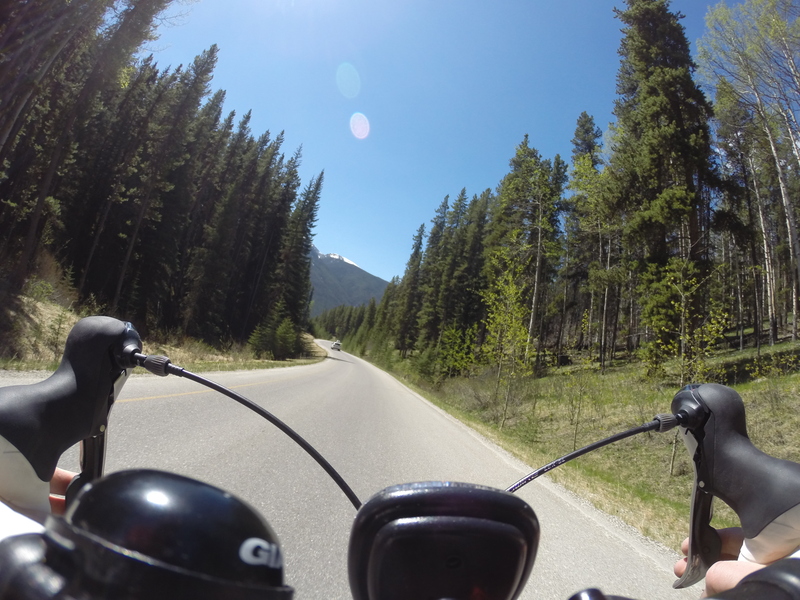 A couple of weekends ago I went on a bike ride from Banff. 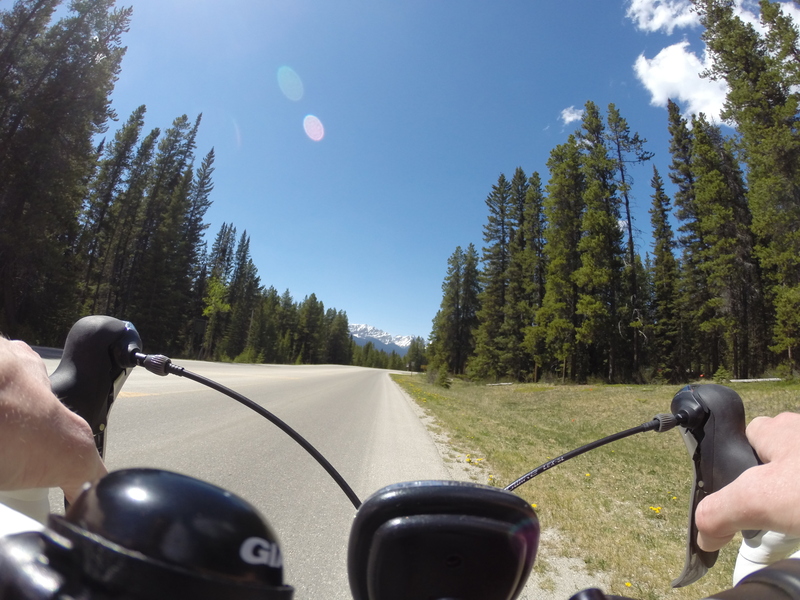 I meant just to cycle to Castle Junction along the Bow Valley Parkway…but went a little bit further than I meant to. 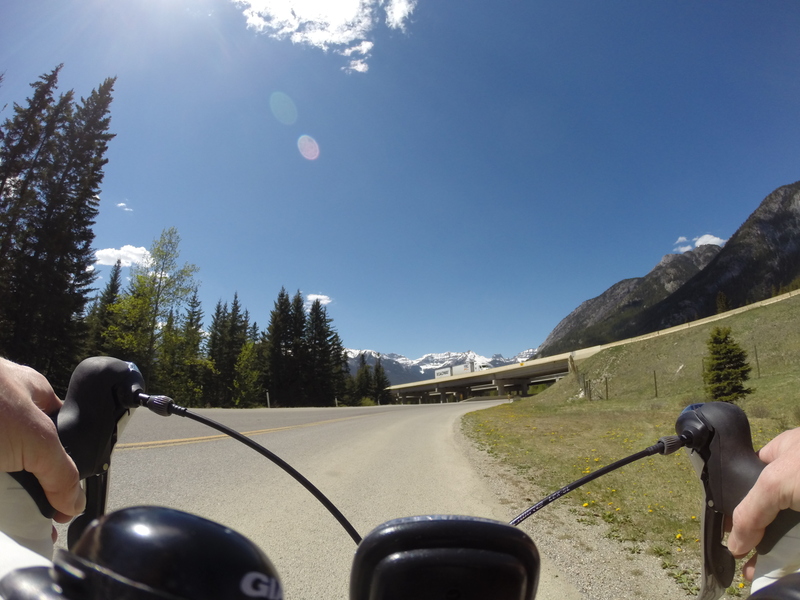 I started off near the Banff Springs Hotel, and made my way over the Bow River via the new pedestrian bridge. 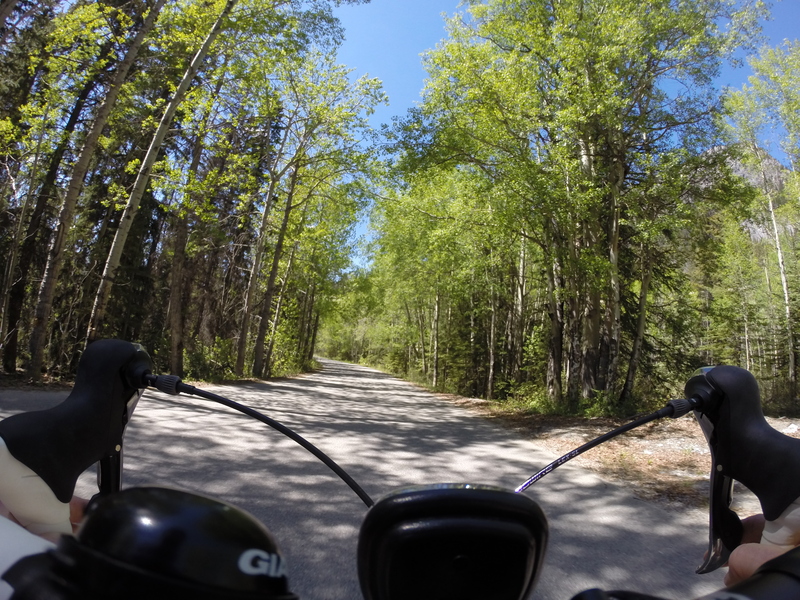 Then I followed the riverside trail beside the Bow River and through Central Park to join up with the trail that heads out to the Vermillion Lakes. 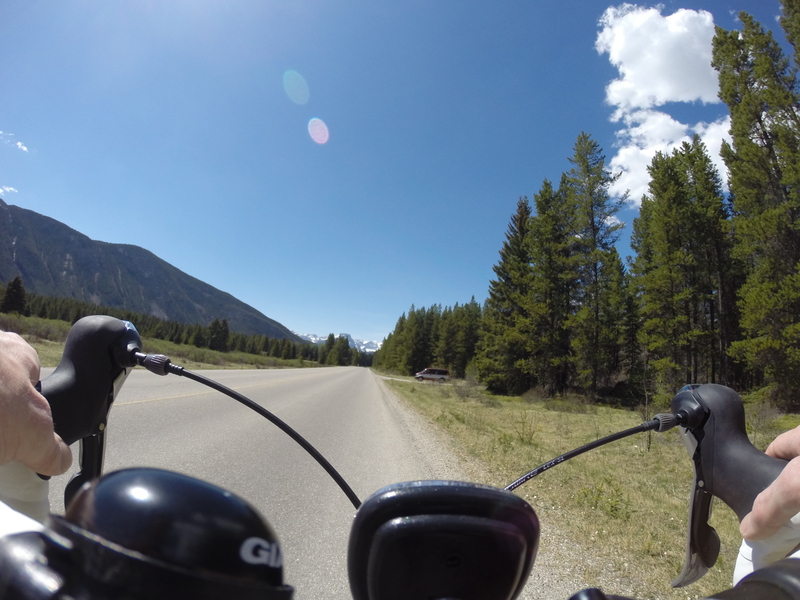 It was at the Vermillion Lakes I realised I hadn’t switched my GoPro on, so the photos begin from here! Being a nice sunny day, the views out over the lakes were incredible, even though I only glanced a view as I cycled on past. 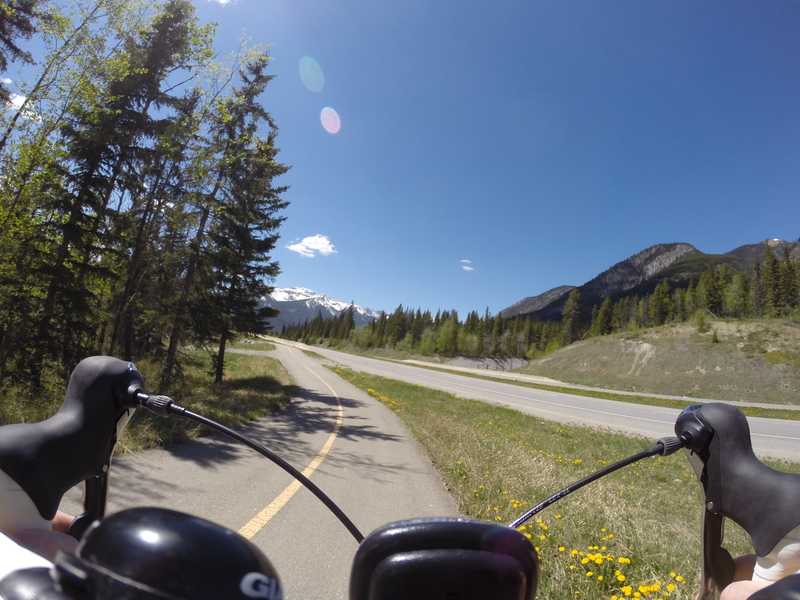 Leaving the Vermillion Lakes Road, I joined onto the Legacy Trail which connects the Vermillion Lakes Road to the Bow Valley Parkway. 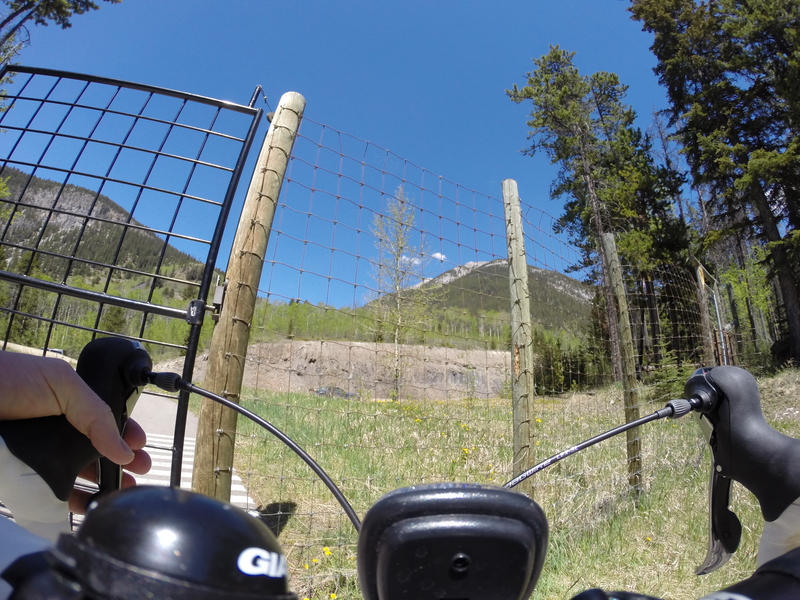 There are a couple of gates that you go through on this part of the trail as you’re inside of the fenced area of the Trans-Canada Highway for a short section. 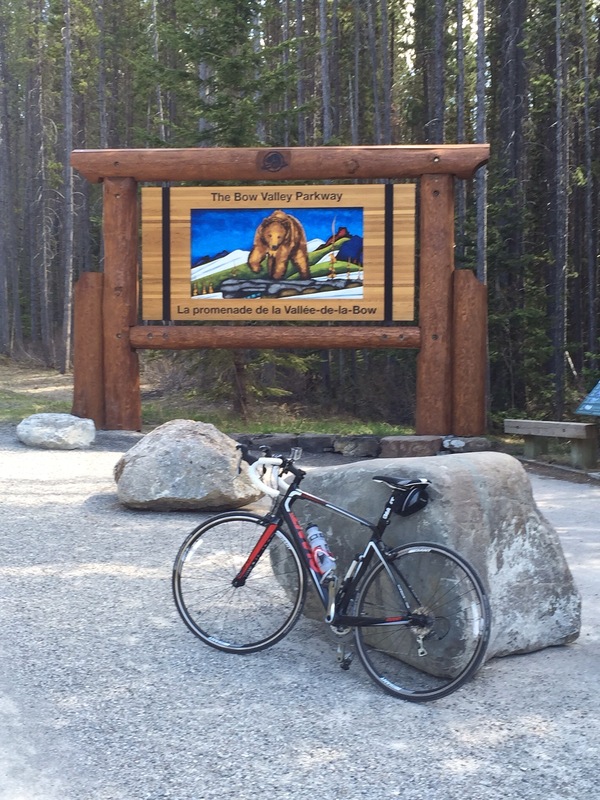 Once you’re clear of the gates you’ll join onto the Bow Valley Parkway. 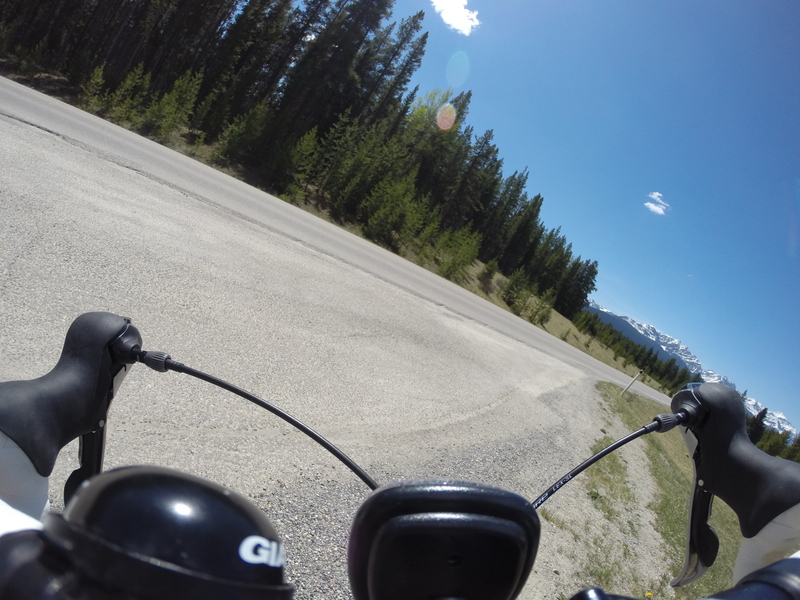 From here to the Lake Louise junction of the Bow Valley Parkway the scenery is stunning. 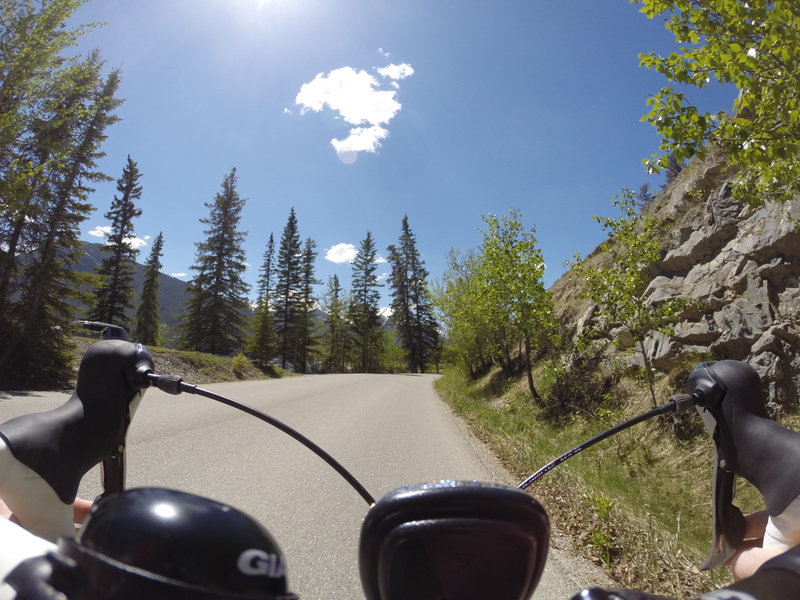 The road undulates along the valley side and slowly gains elevation the closer you get towards Lake Louise. 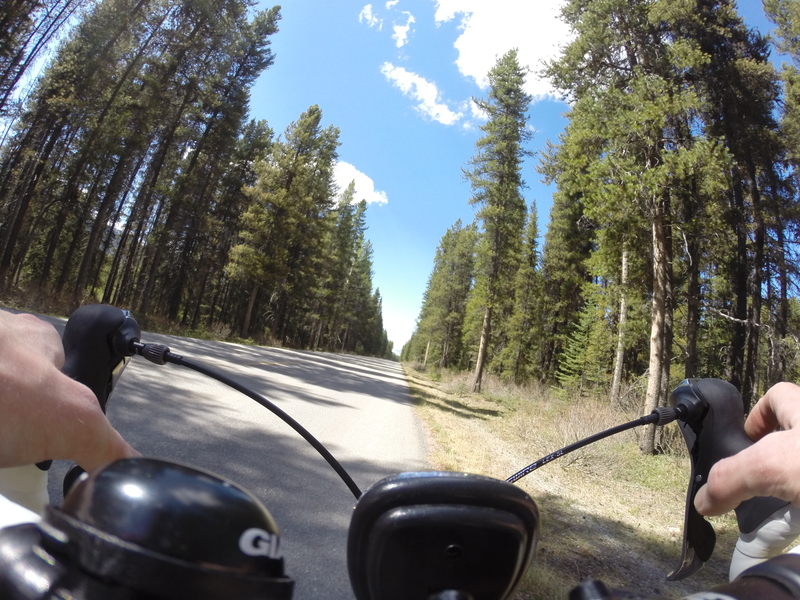 It was a little busy when I cycled past Johnston Canyon, but being the weekend I guess it was kind of unavoidable. 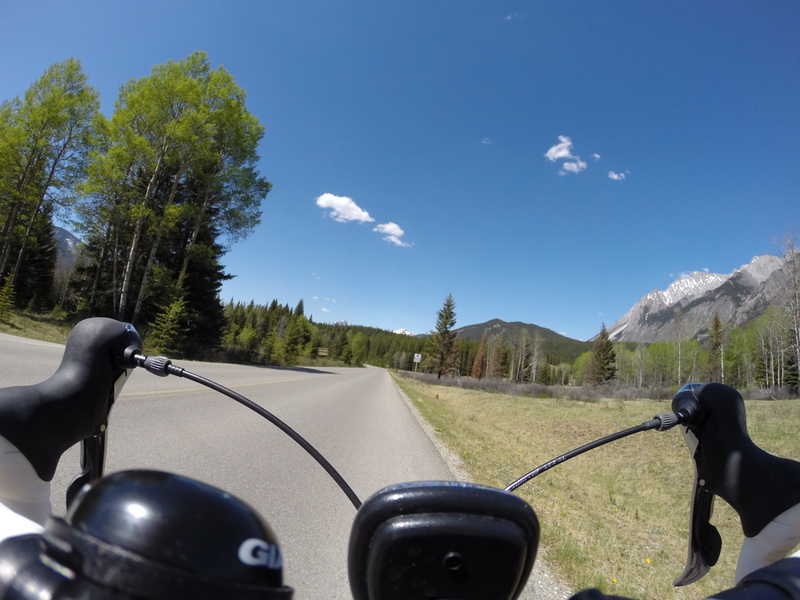 I passed Castle Junction taking in the impressive views of Castle Mountain soaring above. 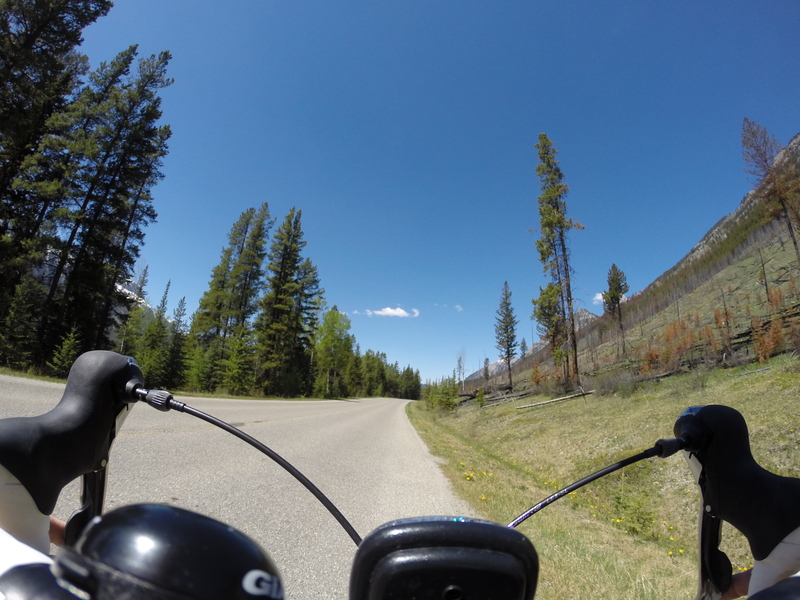 Shortly after this, my GoPro ran out of battery, so I don’t have any photos of the return. But to show proof of getting to the Lake Louise Junction I had my phone handy so got a couple of photos before getting back on my bike and heading back to Banff. At the time, I was regretting having cycled quite so far, but now I’m pleased I did. 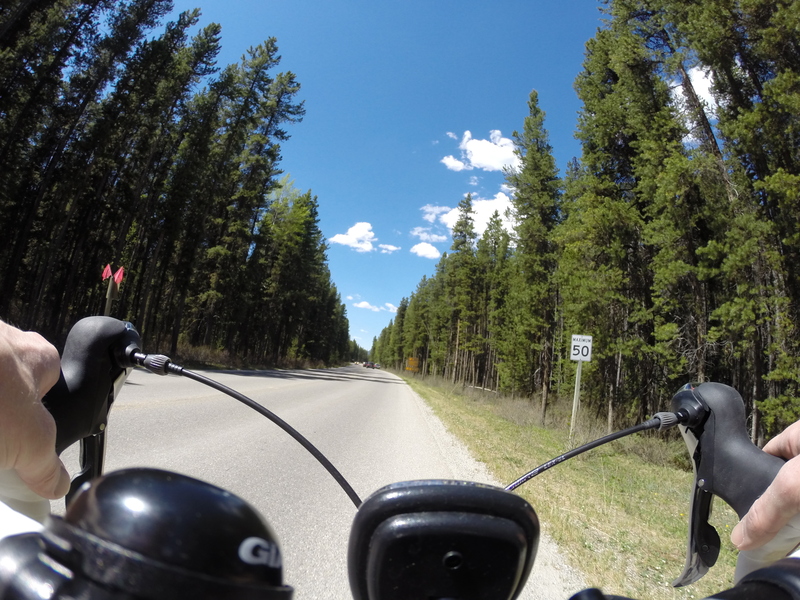 The total return distance of my bike ride was approximately 118km (roughly 73 miles). Holy smokes!!!! 118km, amazing!!!! 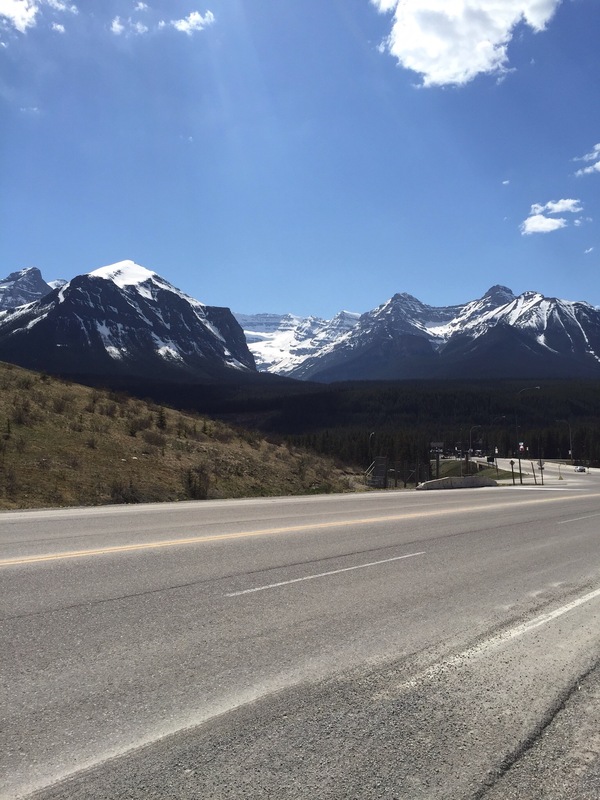 I love the Banff area – traveling these last 4 months through Latin America has reminded me that Canada is truly the most beautiful country in the world! Hope you didn’t get any ticks, tis the season in those parts! I have a funny story about that Johnston Canyon photo. That speed limit sign? We were on that road, and it is similar to many in Michigan, when you are in the trees. Our rural roads are 55 mph. So I was tooling down that road with very little traffic on it at 50 mph and BINGO….I got pulled over. There is quite a difference in kph and mph! Yikes! Great pix and a great day out by the sounds of it. I see you are an avid bike rider. My husband is one as well. 100KM [which he did yesterday] in 4 hours is nothing for him. I get exhausted just at the thought of all the elevation climbs! !